​Article originally posted by the Society for Human Resource Management (SHRM) on Feb. 13, 2018. Written by Allen Smith, J.D. Flu has hit the workforce hard this winter. This is the first flu season of the past 15 that all states in the continental United States have reported widespread flu activity during the same week, the Centers for Disease Control and Prevention (CDC) noted. The flu is potent, with patients taking four days or more to recover. That may mean they qualify for Family and Medical Leave Act (FMLA) leave. Different provisions of state and local paid-sick-leave laws and the Americans with Disabilities Act (ADA) might also apply to flu sufferers. Who Qualifies for Paid Sick Leave? 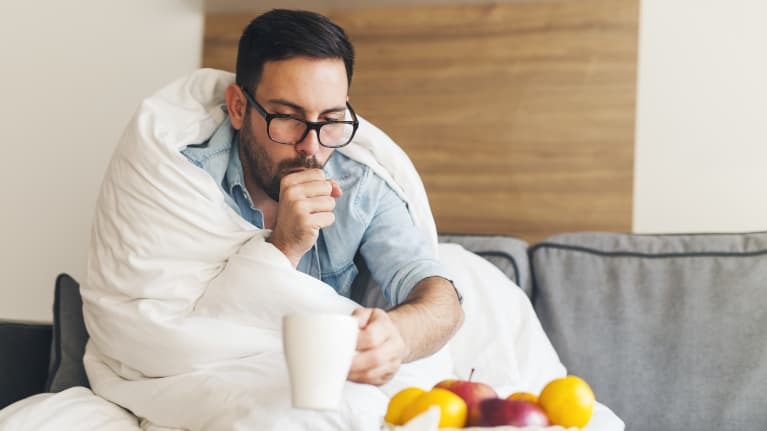 Most paid-sick-leave laws allow workers to use paid leave to recover from the flu, noted Joan Casciari, an attorney with Seyfarth Shaw in Chicago. Federal contractors should know that Executive Order 13706 provides paid sick leave for federal contractor employees, she said. In addition, nine states—Arizona, California, Connecticut, Maryland, Massachusetts, Oregon, Rhode Island, Vermont and Washington—have paid-sick-leave laws. At least 34 municipalities have paid-sick-leave laws: Berkeley, Calif.; Bloomfield, N.J.; Chicago; Cook County, Ill.; East Orange, N.J.; Elizabeth, N.J.; Emeryville, Calif.; Irvington, N.J.; Jersey City, N.J.; Long Beach, Calif.; Los Angeles; Minneapolis; Montclair, N.J.; Montgomery County, Md. ; Morristown, N.J.; New Brunswick, N.J.; New York City; Newark, N.J.; Oakland, Calif.; Passaic, N.J.; Paterson, N.J.; Philadelphia; Pittsburgh (struck down last year, but the city is defending it on appeal); Plainfield, N.J.; Prince George’s County, Md. ; St. Paul, Minn.; San Diego; San Francisco; Santa Monica, Calif.; SeaTac, Wash.; Seattle; Tacoma, Wash.; Trenton, N.J.; and Washington, D.C. Employers with paid-time-off (PTO) policies usually provide enough paid sick leave to cover the regulatory requirements, Casciari observed. However, paid-sick-leave laws may cover people who are not eligible for benefits under an employer’s policy. Sick-leave policies may have to be revised to permit the use of paid sick leave for all the reasons the ordinances provide time off, she added. The various paid-sick-leave laws permit time off not only for employees’ own illnesses but also to care for family members who are ill, noted Marjory Robertson, assistant vice president and senior counsel for disability insurance company Sun Life Financial Services Co. in Wellesley Hills, Mass. All laws include spouses and children. Many laws also include foster children; stepchildren; legal wards or children to whom the employee stands in the place of a parent; stepparent; person who stood in the place of a parent when the employee was a minor; domestic partners; grandchildren; grandparents; siblings; and spouses of grandparents and siblings, she pointed out. The amount of paid sick leave required by these laws varies from three days to nine days (with Emeryville, Calif., Oakland, San Francisco and Seattle allowing the most). In addition, employers in Seattle with 250 or more full-time workers and who have a combined PTO policy that includes sick days must provide each employee 13.5 days of paid sick leave, she said. Many paid-sick-leave laws apply to routine medical appointments that employers may not otherwise cover, Casciari noted. To help simplify paid-sick-leave requirements, the Society for Human Resource Management (SHRM) is calling for enactment of the Workflex in the 21st Century Act. If enacted, state and local paid-leave laws would be pre-empted for employers providing leave as specified under the legislation. For example, “if I have the flu and I’m incapacitated for more than three days—that includes weekends or other nonworking days—and I see my doctor who prescribes Tamiflu or an antibiotic, then I have a serious health condition” under the FMLA, said Matt Morris, vice president of FMLA Source with ComPsych Corp. in Chicago. If the time off could become FMLA leave, employers should be cautious about asking employees to telecommute while out of the office, he warned. The flu typically is not a covered, actual disability under the ADA because it usually does not last long enough to substantially limit a major life activity, said David Fram, director of ADA and equal employment opportunity services with the National Employment Law Institute. But someone with the flu might claim an employer regarded him or her as having a disability, he added. This would invoke the ADA’s prohibition on discrimination. The law bars discrimination against those with actual or “regarded as” disabilities; only those with actual disabilities are entitled to reasonable accommodation. “It is possible that a serious case of the flu could be covered in certain states where state law doesn’t require substantial limitation, such as New York or California,” he added. However, Robertson said that given the severe flu circulating this year and resulting in many hospitalizations, the ADA could be interpreted to apply to influenza as an actual disability requiring reasonable accommodation, such as ADA leave. ADA leave might be needed not only for those who exhaust FMLA time off, but for new employees who don’t qualify for FMLA or employees who haven’t worked enough hours in 12 months to be protected by the FMLA.